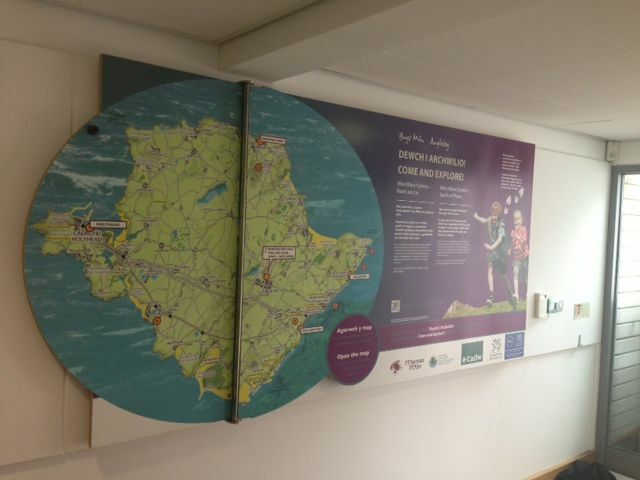 Bivouac was commissioned to design a bright and cohesive graphic scheme for the Mona Antiqua project; a project aimed at developing links and exploration between historic sites around Anglesey. 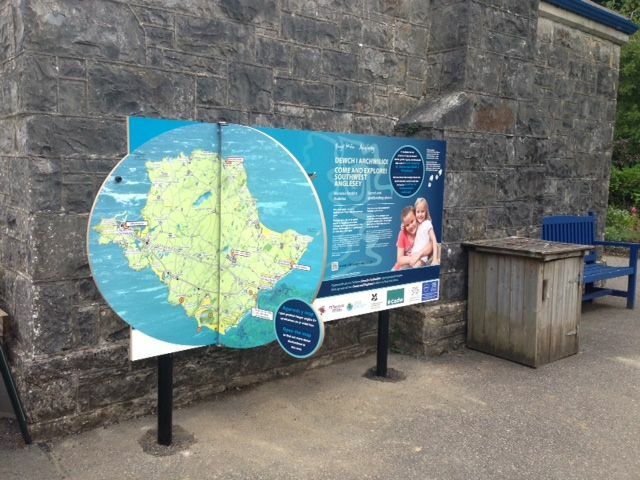 The bilingual interpretation took the form of a dual-sided map element and details of the sites, along with tourist- and family-focussed imagery. 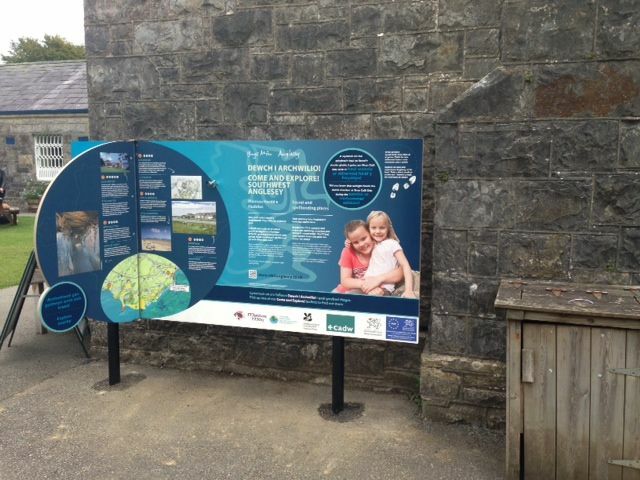 The panels were placed at sites including Plas Newydd, Beaumaris TIC, Copper Kingdom and Oriel Ynys Môn and promoted numerous sites around the island. The panels were produced by Leach.